15 Stocking Stuffer Ideas - No Candy! 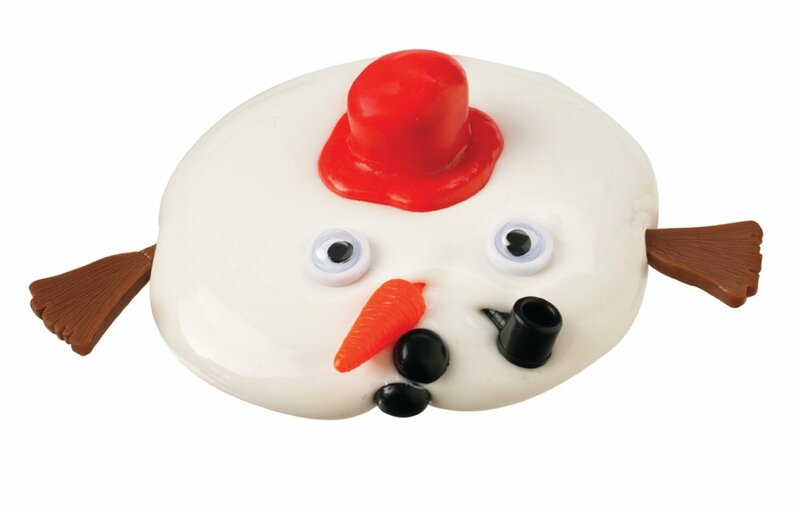 Melting Snowman – When it’s too cold to play outside, your little one can build a snowman indoors with this reusable soft putty. At room temperature, the snowman will slowly melt into a mess-free puddle! Your child can decorate their snowman with the included hat, scarf, arms, eyes and carrot nose! Jeliku – Unfold and turn the different sections of Jeliku to create an endless amount of designs and shapes. I’m excited to see what sorts of things my boys will come up with! Water Beads – My boys absolutely love sensory play, and these water beads are a great addition to any sensory bin! They’re so inexpensive and provide endless hours of play! I keep these in stock year round! Tangle Creations Jr. Textured Sensory Fidget Toy – Tangle is a fun little fidget toy that is perfect to keep your child occupied in the car, on plane rides, or any time! I love the textured version of this toy and I’m sure my boys will too! Jacob’s Ladder – Jacob’s Ladder is a classic toy that every child should own! To set the toy in motion, hold the top block with a single ribbon facing outward. Rotate your wrist forwards and backwards and watch as the blocks fall. So much fun! Water Games – The waiting room at my boys’ dentist has one of these water games and my boys can’t seem to get enough of it whenever we’re there. This particular Water Game is definitely the perfect size for a stocking! Spot It! – Spot it is such a fun game! Throw down two cards and the fist one to Spot the two matching pictures on the cards wins the pair. There are lots of versions of this game. We have the Frozen set and Halloween set, and for Christmas my boys will be receiving the Holiday set. Kaleidoscope – Kaleidoscopes are another classic toy that every child should have! Rotating the “barrel” makes colorful shapes melt and shift into one another for an amazing effect! Even I’m still mesmerized by this toy! Wikki Stix – Wikki Stix are another great toy that will bring out the creativity in your child! Watch them bend and twist Wikki Stix to see what they can create! Dinosaur Fossils – Have your child use the excavating tool and brush to unearth ancient dinosaur fossils from the sandstone! I actually found similar dinosaur eggs at our local dollar store a few months ago, and my boys LOVED them! Geodes – My boys are very into fossils, gems, and crystals so I know they are going to thoroughly enjoy breaking open their own geodes! I actually purchased a larger set than the attached link, and it will be one of Santa’s gifts to them, but there are these smaller sets that would make great stocking stuffers! Backyard Safari Field Tools – This set is great for any child who loves exploring outdoors! Play-Doh – You can’t lose with Play-Doh and since my boys always end up squishing the colors together into on giant grey ball, fresh Play-Doh is needed yearly. Mystery Packs – There are lots of different mystery packs that are perfect as stocking stuffers. Some of the most popular are Shopkins, Uggly’s Pet Shop, Minions, and Legos. Pick-Ease – These adorable kid-friendly picks are sure to bring some fun to mealtimes, making them a “must have” for the picky eater in your life, or any child for that matter! Pick-Ease is also a great transitional tool for children who are new to self-feeding! I hope you’ve found these Stocking Stuffer Ideas helpful! Happy Holidays!